Tetsuya Yamada was trained in Japanese ceramics and has a deep comprehension of Western art. His Morices are part of an elegant and formal trajectory in that history, which links them to the innovations of early modern masters of both sculpture and conceptual art. A prominent and well-established artist living in Minnesota, Yamada is inventive by nature and constantly stretches the limits of his mediums to create pieces of rare intellect and ingenuity. In addition to their art-historical pedigree, they are remarkably compelling works in their own right. Standing at almost human scale, each object has a distinct, individual character. 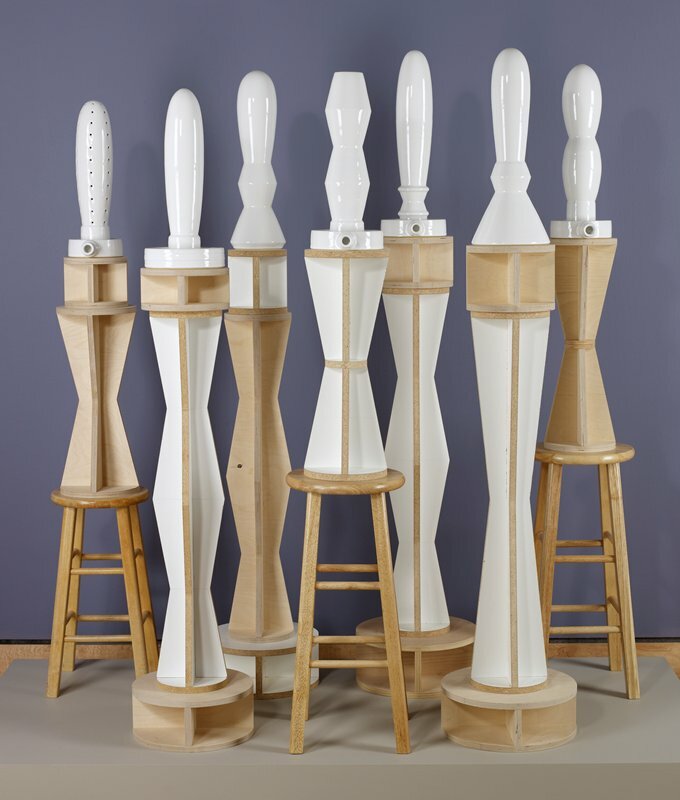 Their pure and polished white ceramic "bodies" represent a purity of form and spirit. When they appear as a group, their power is compounded. As if they were made to be together, they take on a fascinating aura as if guarding some secret history or memory.